India's economy grew at its fastest pace in six months in the quarter through March 2010, fuelled mainly by government and consumer spending, which is expected to allow policymakers to focus on anchoring inflation that is hovering near 10 percent. The 8.6 percent expansion in the fourth quarter of the fiscal year 2009/10 was broadly in line with a median forecast of 8.7 percent in a Reuters poll, and lifted the annual average growth rate for the full fiscal year to a slightly better-than-expected 7.4 percent. India's economy had grown 6.7 percent in 2008/09, and the Jan-March 2009/10 growth rate matches the revised data for the second quarter of 2009/10. The data is unlikely to evoke any immediate and aggressive policy response from the central bank as concerns on Europe's debt crisis are expected to keep its policy on hold for now. "It would be important to note that this release is a backward looking number and our sense is that policy makers would remain considerate of the external developments and any associated downside risk to overall growth," said Anubhuti Sahay, an economist with Standard Chartered Bank in Mumbaim in this article from the India Economic Times. Indian stocks and the rupee strengthened immediately after the data, while the benchmark bond yield rose 2 basis points from before the release. The expansion in the March quarter was driven by government spending, manufacturing and services. Revival of growth in farm output after a contraction in the quarter ago underscored the broad-based recovery in Asia's third-largest economy. The arrival of fresh crops helped agriculture grow by 0.2 percent, having dropped significantly in the previous quarter of 2009-10 due to a poor monsoon. The farm sector, which forms nearly 17 percent of the economy but is dependent on monsoon rains, is expected to do well in 2011 as the weather office has predicted a nortmal monsoon for the country, as farm output grew an annual 0.7 percent helped by a good winter harvest. Manufacturing output grew 16.3 percent on year in the quarter as consumers bought more cars and other goods. The government expects the economy to grow 8.5 percent in the current fiscal year that started on April 1 on the prospects of a better farm output and a global recovery, and Finance Minister Pranab Mukherjee on Monday said growth would top this estimate. Among other high growth sectors during the quarter were hotels and transport services which grew by 12.4 percent, while financial services including insurance grew by 7.9 percent. Prime Minister Manmohan Singh last week said an annual economic growth rate of 10 percent is needed in the medium term to address the problems of poverty and malnutrition. 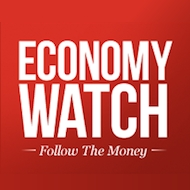 Even as Singh aims for high economic growth, inflation and the high level of debt have come to haunt his government and appears to be undermining its support base, as we at Economy Watch have noted. Wholesale prices, the most closely watched inflation gauge in India, rose 9.59 percent in April from a year earlier amid the government officials claim that headline inflation had peaked. Headline inflation numbers have been consistently higher than the official forecasts. The wholesale price inflation vaulted above the RBI's end-March 2010 inflation forecast of 8.5 percent in January and crossed the 10-percent mark in February. Although food price inflation has eased from its peak of 20 percent in December, it is still above 16 percent. Rising cost pressures are also dragging down the pace of manufacturing growth, as evidenced by a second-straight monthly decline in the HSBC Markit Purchasing Managers' Index in April. The rapid acceleration in the world's second-fastest growing major economy after China is boosting consumer demand far ahead of what can be met by existing supply capacity. Analysts expect monetary policy tightening along the year, as the RBI moves to cool demand through rate hikes until firms crank up their potential output. The central bank has already lifted rates twice by a total of 50 basis points since March and has not ruled out an off-cyle rate rise either. This macro-level growth is, not surprisingly, also showing up on the per capita level as well, which is denominated in Rupees or Rs. Forty thousand Indian rupees - 40,000 Rs - is equivalent to approximately 860 in US dollars. The per capita income grew by 10.5 per cent to Rs 44,345 in 2009-10 against Rs 40,141 in the year-ago period, according to the government data reported in another article in India's Economic Times. The per capita income was slightly higher than Rs 43,749 as calculated by the Central Statistical Organisation (CSO) in its advance estimates for FY10. However, per capita income grew by 5.6 per cent last fiscal year if calculated on the basis of 2004-05 prices, which some argue is a better method of comparison because it broadly factors in inflation. Per capita income (at 2004-05 prices) stood at Rs 33,588 in FY10 against Rs 31,821 in the previous year, according to estimates of national income released today. The size of the economy rose to Rs 62,31,171 crore in the last fiscal year, up 11.8 per cent over Rs 55,74,449 crore in FY09. For those who aren't Indian, a crore, often abbreviated cr, is a unit in the Indian numbering system equal to ten million / 10,000,000 / 107. It is widely used in Bangladesh, India, Nepal, and Pakistan. Large money amounts in India are often written in the form "Rs 23 cr", that is, 23,00,00,000 rupees (230,000,000 in Western notation).